Slazenger is part of the longest partnership in sporting goods history, Slazenger has been the Official Supplier of tennis balls to The Wimbledon Championship since 1902. In 1910 New Zealander Tony Wilding wins the first of four successive titles with an Ayres racket and William Larned wins the last of his five US open titles with Slazenger. In 1932 Fred Perry switches to Slazenger rackets before winning his first grand slam title in the US in 1933 and the first of his three Wimbledon titles in 1934. 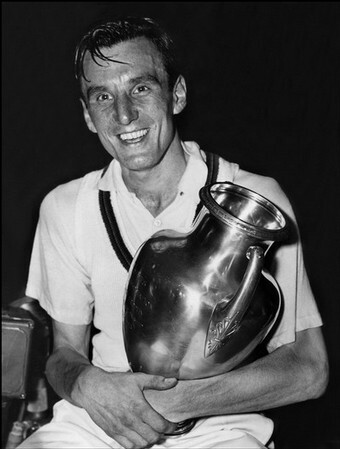 Ken Rosewall wins both the Australian and French Opens with this Slazenger racket in 1953 and Althea Gibson becomes Slazenger’s first Wimbledon Ladies Champion since the war. 1970 saw Slazenger’s Margaret Court win all four Grand Slam titles. In 1971 ICS (Slazenger’s umbrella corporation) receives the Queen’s Award to Industry and in 1976 Slazenger introduces the Graphite ‘Phantom’ Racket. Among the women Martina Navratilova stands out with nine titles in singles, six of them consecutive and 20 in total. Three players share the London throne with seven wins each. William Renshaw, a Briton born in 1861, Pete Sampras and Roger Federer share the honor of being the players with the most titles in the cathedral of tennis. In number of victories, the king is Jimmy Connors that in its 21 participations obtained a whopping of 84 triumphs. Federer is behind, with 79 and if the Swiss were able to reach the semi-finals this year would reach the mark of the American. Slazenger will supply 52,000 balls for this year’s tournament, each of which will be tested for weight, bounce and compression.